Action: In a temple courtyard closed in the back by a pailou, two toddlers seat underneath a marble lion. 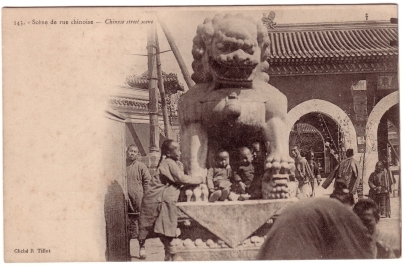 A laughing boy on the right holds one of the lion’s paws, and someone stands on the right holding the children. Blooming tree branches shows this is springtime.